Vapor Shack e Cigarette and Smoke Shop - Smoke shop and e Cigarette stores in St. Petersburg have new competition, Vapor Shack who makes their own e Liquids out of the highest quality FDA approved Nicotine Extract and food grade flavorings. 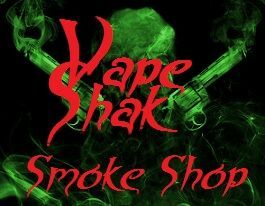 Smoke shop and e Cigarette stores in St. Petersburg have new competition, Vapor Shack who makes their own e Liquids out of the highest quality FDA approved Nicotine Extract and food grade flavorings. With over 130 e Juices to choose from, the Vapor Shack is quickly becoming the go to e Cig shop in the St. Pete area!Their Smoke Shop supplies are also priced at about half of the other smoke shops in St. Petersburg, with inventory growing weekly. This video lists some information about the new e Cigarette and Smoke Shop, Vapor Shack. Vapor Shack e Cigarette and Smoke shop in St. Petersburg, Florida hand mixes only the highest quality USA made nicotine and food grade flavor extracts.